Yesterday was the first day of the 5x50 challenge that I've decided to take part in. It's not really aimed at me but I'm not going to let that put me off. The online blurb describes the 5x50 as "a charity challenge encouraging people to run, walk, jog or cycle 5km every day for 50 days with the aim of changing habits for a lifetime. It started with a vision to make sport part of everyone's daily life. Not everyone will run a marathon, however anyone can complete the 5x50 challenge and experience the physical and psychological benefits that come from taking part". That made me chuckle a bit, as I'll find it harder to keep a 50 day runstreak going than any marathon I've ever run, but there you go! The reason I want to do this is that recently I've been finding it a bit difficult to find the enthusiasm to go out for my runs, and have been struggling to get as many miles in as I should. This culminated in last week's planned mileage of 42 being reduced to an actual mileage of 29, including cutting short my long run yesterday to just 13 miles. Part of me wonders if I just need a bit of a rest but there's another part of me that realises that's just an excuse, and I know that actually I need to rediscover my mojo and just get out there more! When I did the Runner's World Holiday Run Streak last Christmas, of 38 days, I found myself becoming really commited to my running and enjoying the feeling of accomplishment that came with maintaining the streak - I feel that's what I need again, and so this is the perfect challenge to get motivated. As well as motivation though, I'm also hoping that by commiting to run every day, when we go on holiday (two weeks in the Dordoigne in France after the Toad Challenge is finished) I'll be able to maintain my fitness. 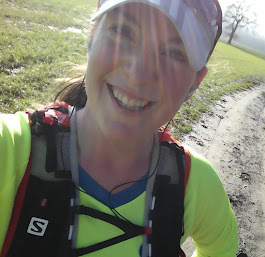 I'm running the Stort 30 mile race two weeks after we get back, and I know that if I spent the whole fortnight without any running, I'll find the ultra much harder than it needs to be!